Remember our promise of bringing you much more, in-depth details on the 2015 VW Vento? Well, here we are again, with the most detailed scoop pictures of the 2015 VW Vento GP. A few changes are clearly visible. 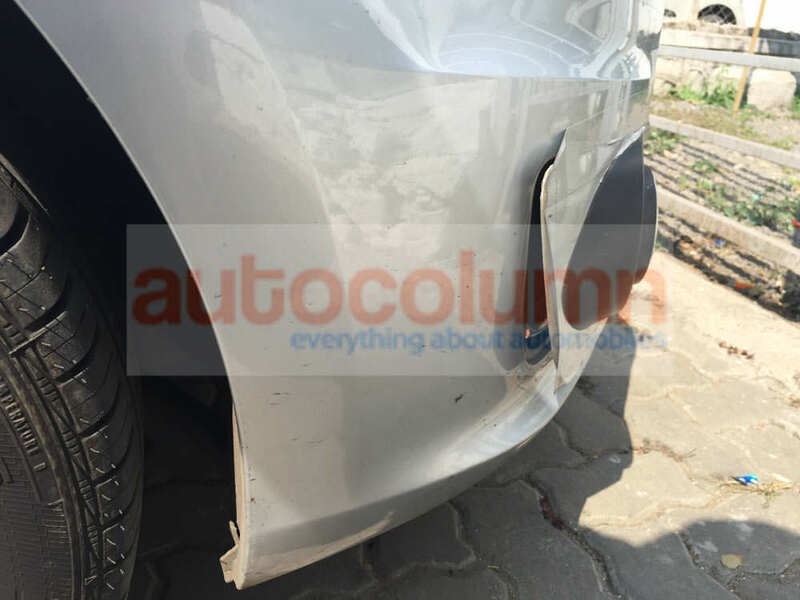 1) Brand new rear bumper with visible exhaust tip. 2) Horizontal strip across boot. Lends the boot a more mature feel. 3) Tail lamp remains unchanged. We expect a new internal reflector pattern in the production car. 4) All new grille. Looks grown up and mature. 5) Headlamps remained same on the prototype, But we are sure it will be replaced with a newer unit. This headlamp is not a perfect fit with the grille and bumper combination. 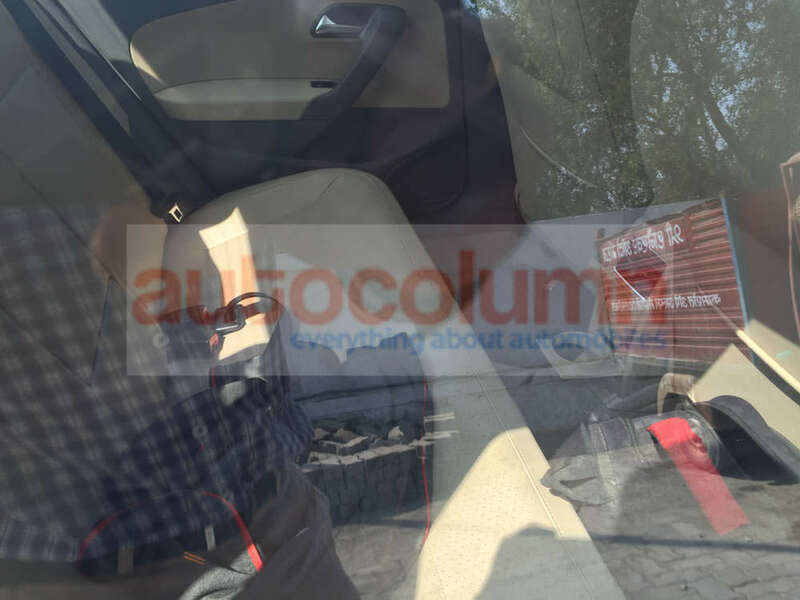 6) Front bumper is all new, details hidden using clever masking, that makes it look like the current gen Vento. 7) Interiors remain largely unchanged. The only change happens to be the use of a newer, darker shade of beige. 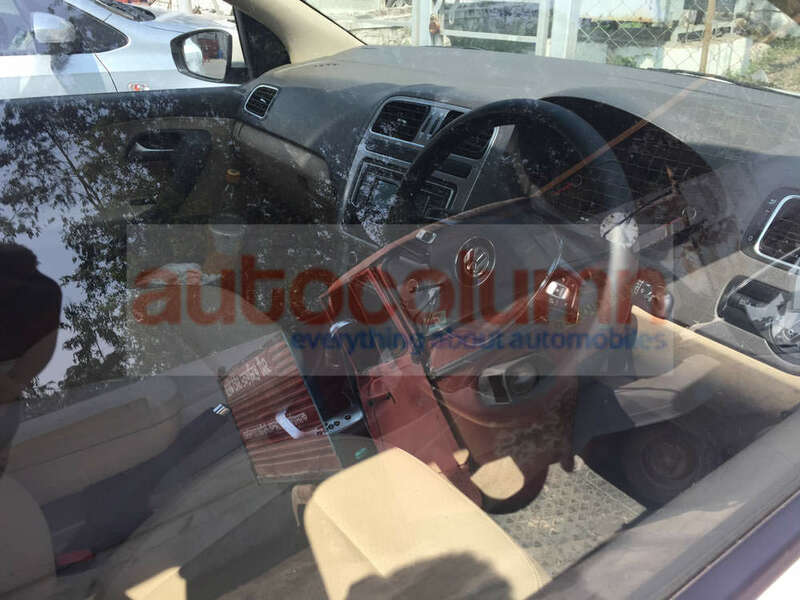 The headunit, instrument cluster are same from the current Vento. AC vents also remain similar to the current car. 8) Rear AC vent and passenger seat slider lever present. 9) Thats it! Yes thats it. 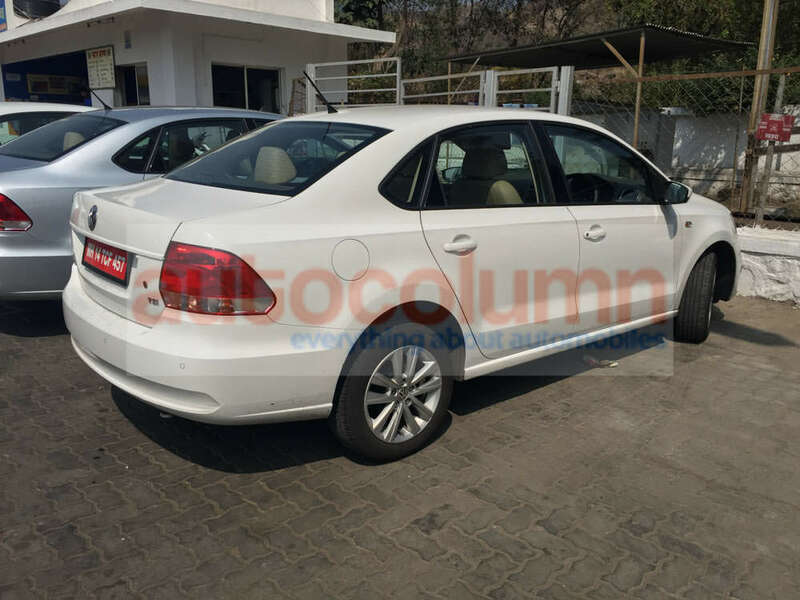 The 2015 Vento will come in both petrol and diesel options. 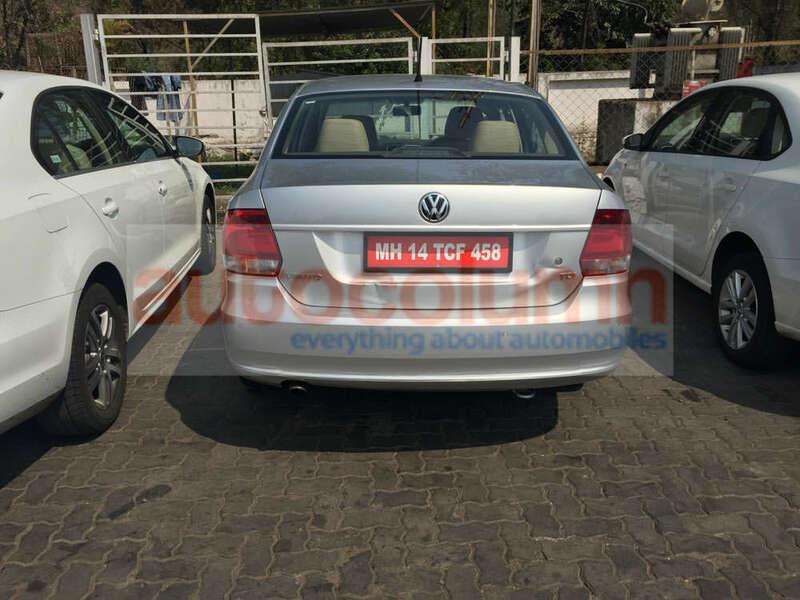 We spotted the TDI (with 1.5L Turbo Diesel, 105 PS and 250N-m) and TSI (1.2L Turbo Petrol, 105 PS and 175 N-m) versions. 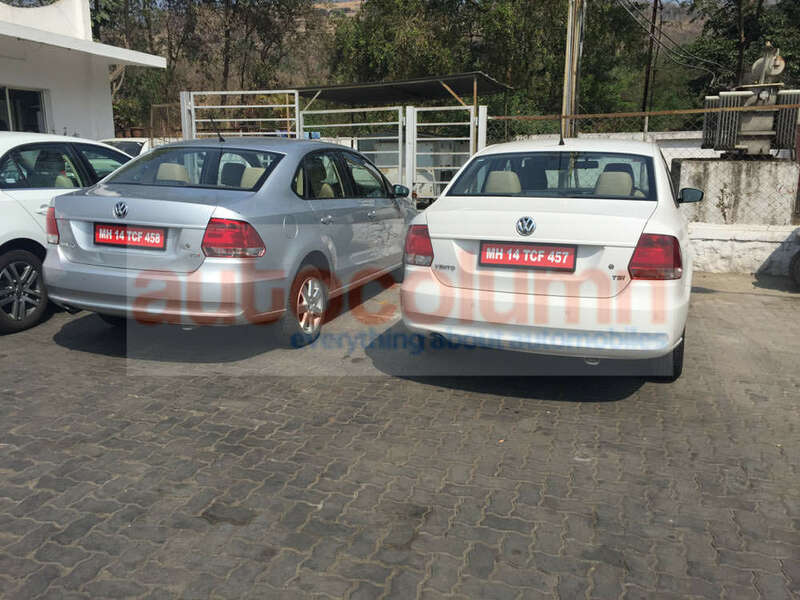 VW India needs to work a lot more on the car to grab a better foothold in the Indian car market. 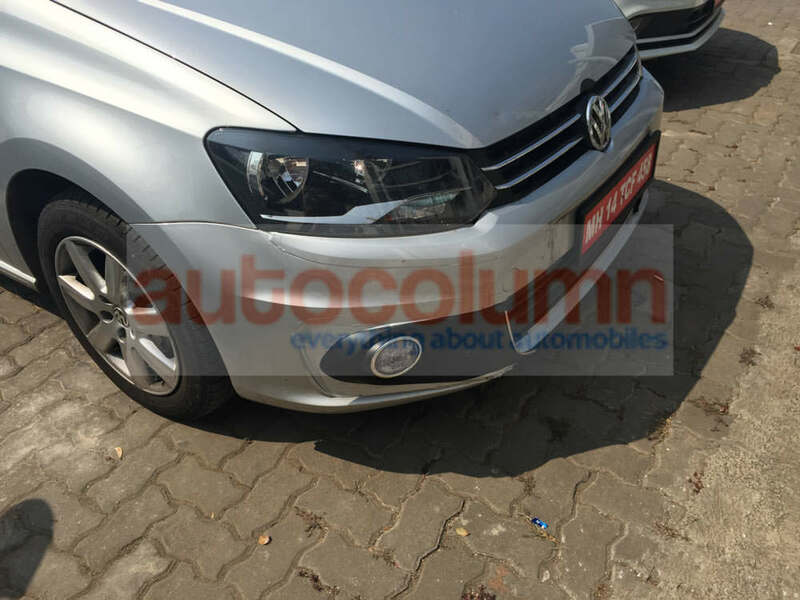 Fresher, bigger looks, more features (like keyless entry, cruise control, DVD infotainment system with GPS, speedometer console upgrade, rear disk brakes, projector headlamps with DRL, ORVM indicators), reworked interiors and increased driving pleasure (more power, better brakes) is what VW needs to address with the new Vento. We will be back with more, again. Watch this space. Does synthetic oil really make any difference?